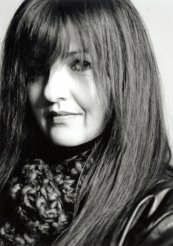 Sandra Sabatini's first short story collection, The One With the News (Porcupine's Quill), inspired by her own father's battle with Alzheimer's, was shortlisted for the Upper Canada Writers' Craft Award. Her fiction has appeared in The Malahat Review, Prism International, and The New Quarterly, among others. She completed her doctorate in English Literature at the University of Waterloo. The Dolphins at Sainte-Marie, a book of short stories about her family life, was published by Penguin Canada in 2006. Sabatini lives in Guelph, Ontario, with her husband and five children, who range in age from 12 to 22. In the manner of the novels of Sebastian Faulks and Louis de Bernières, Sandra Sabatini renders a dramatic and tender tale that evokes empathy for the Other, the universal Enemy who looks suspiciously like ourselves. Replete with surprising, little-known historical details, such as Mussolini's mad plot to bombard Manhattan with lemons, Sandra Sabatini's polished, precise prose tells an unforgettable story, set in Italy and North Africa. Sabatini's wry humour and her keen human interest bring to life an imaginative depiction of what a youth lived out under gigantic portraits of Benito Mussolini would have been like. Young Dante DiAngelis is drawn into the army on his quest to escape his overbearing parents. Sabino, his boyhood friend, follows him faithfully into enlistment and later onto the warfront. 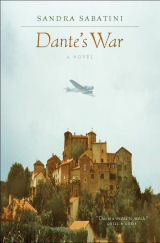 As mechanics on fighter planes and sometime pilots, Dante and Sabino are awakened to the brutality of modern war. Caught between his loyalty for his brothers-at-arms and his realization that his national pride and leaders have led him astray, Dante begins to question his involvement in the war's barren destruction and empty victories. An unusual love story develops between Dante, whose reckless independence entraps him in the service of a dangerous ideology, and Angelina Fiori, who on the opposite end seems too young to be so disenchanted by the troubled times. Although they know little about each other and are divided by a great distance, Dante's courage and Angelina's steadfastness allow them to rise above their circumstances and join together in a symbiotic love. Each of the lovers engages the battle where they find it. Dante encounters the elements and the enemies in the Northern Sahara and Angelina watches silently as the familiar Italian landscape becomes increasingly dark until the rage that builds up in her cannot be repressed. Dante's persistence in wooing Angelina, despite her apparent coolness toward him and lack of trust, is rewarded in small advances, small surrenders. Their love crescendoes as Italy is reborn into an era of security and optimistic rebuilding.